Make an outright gift of a new policy. You can take out a new policy and irrevocably name the Center as the owner and the beneficiary of the insurance contract. This method may be particularly attractive for the younger donor. Whether you make one single premium payment for the policy or pay annual premiums, each payment is tax deductible as a charitable gift when you itemize. We chose to make a specific bequest by naming The Carter Center as a beneficiary on a life insurance contract. For us, this amount represents a significant amount of our total assets. We have supported the beliefs of the Center all of our lives, and we feel that the Center is a good steward of our giving." 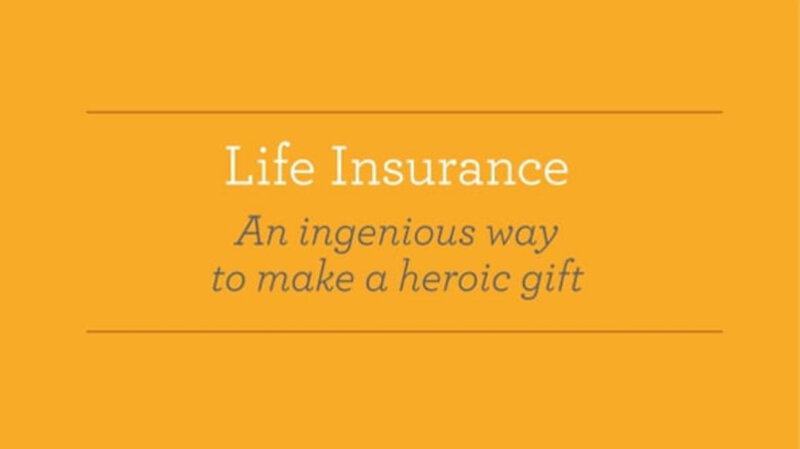 Contact Barry Nickelsberg at 404-420-3868 or barry.nickelsberg@cartercenter.org for additional information on life insurance.